For those of you who have been following me on twitter, I have been posting photos from my blackberry, capturing little moments on my food journey in Malaysia and Singapore. This is my first post after taking such long break from blogging. Thank you for taking the time to check in and for leaving me your thoughtful comments. I have missed checking out all of your wonderful blogs and now that I’m back I need to do some serious catching up. Please bear with me. I figured after posting three series on rich wedding cakes, I decided that it’s time I prepare something light and refreshing just for you from my little kitchen. I supposed it’s only natural, since it’s that time of the year when pretty, bright and colorful summer clothing dominates the stores and all you can find on the cover of every magazine are those annoying “5 steps” or “how-to’s” on shedding those extra pounds, blah.. blah.. blah! So, in the spirit of embracing it all in; I’m preparing this light and fresh mango salad. Whether you’re pairing this up with your main course or not, this salad never fail to impress your taste buds. This is an exotic combination of sweet, sour and spicy! All things that are in this season. 3 medium mangos – peeled and then cut in cubes or you can grate it. Place all the above ingredients in a large salad bowl. Pour the dressing over the mango mixture and toss until well blended. Mix the dressing in a jar and shake until well blended. Keep the dressing in the refrigerator until ready to use. Easy, but so fresh and delicious looking! Love mangos and this looks delicious!! Thanks!! My boys love mangos and this looks delicious! Thanks for the idea. So delicious! I had some mango salsa yesterday…gotta try your salad too. Holy hubcaps!!!! This dish is amazing, it’s beautiful and fresh and I can taste it here. Oh how I long for Summer, for the juicy sweetness of biting into a fresh chilled mango. Droooooool! Thanks for sharing, the countdown is on until I can make this delicious seasonal salad. I love the look of this, yum. So fresh, light and summery! I have NEVER thought of grating a mango…this is ingenious! Glad to have you back! You were missed. What a gorgeous salad…I’ve been thinking of you, and I’m so happy to see you this morning. Thank you for this lovely post. I’m enjoying it with a strong cup of coffee and bagels rising on the counter. I hope you have a blissful Sunday and an even more wonderful week. This is such a beautiful salad! My husband loves mangos so I think he’d go crazy for it…and the pistachios are a fantastic addition! These are amazing food photos! I love mangos and will definitely be making this salad. I’ve really missed your posts and just when I think you’ve gone MIA, you’re back with this wonderful salad! A spicy mango salad is the perfect accompaniment to a good curry and rice, although not sure if that will then help in weight loss : ). Glad to hear that you were in Singapore and Brunei, you should’ve dropped by Brunei and visited me too, it’s so close! I would love to visit Brunei:) maybe next year? Grated mango is so pretty! What a refreshing looking salad… Everything you share always looks so pretty though. Hope you enjoyed your food journey in Malaysia and Singapore. I like your grated mango salad! I can eat it like noodles! So tantalizing. What a gorgeous salad!!! I think I used to have this at a Thai place in Singapore .. its been a while 🙂 Thnx for jogging my memory! I never thought to grate a mango. This looks fantastic! So easy and so refreshing..I m a mango fiend and combining with chillies is the best thing it could ever be!! I hate working with mango and that monster seed. Great idea; I’ve never thought of grating it (maybe should make that ‘grate’ idea huh?). Sounds perfectly delish! Glad to hear you enjoyed your time off. That looks like a wonderfully refreshing salad and I just love the thin strips of mango. Wow Sarina, Mango is one of my favorite fruits and salad out of it even better. I love those flavor combination of cilantro, honey, sesame seeds etc. Yummy. This looks delish and perfect for summer. This is my first time in your blog and It’s beautiful. I am a huge fan of this fruit mango and this salad looks so colorful and pretty! 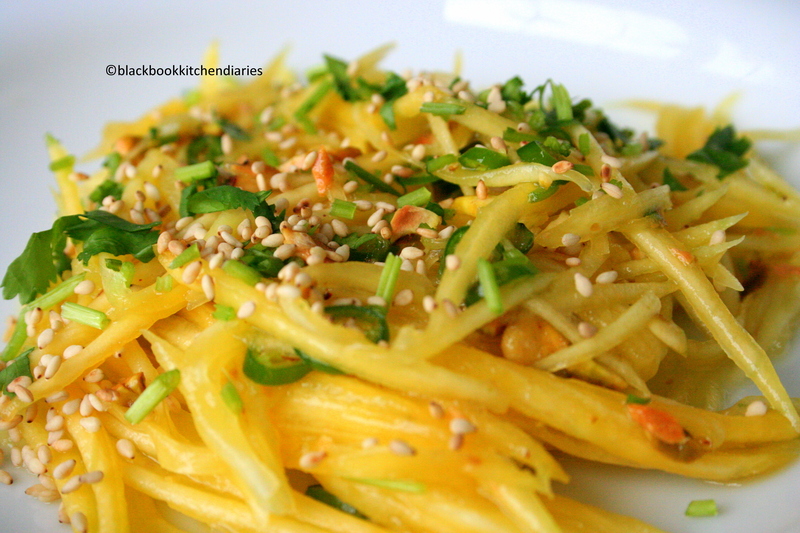 Your mango salad is so lovely and bright! I never know what to use them for! I love this. Good to have you back! This sounds so good, it almost looks like pasta!! How fresh and lovely. I would love this with Thai fish cakes I think. I bet this is a wonderful sweet and spicy salad- it’s perfect for this hot weather and it would go with just about anything. I love the way you’ve shredded the mangoes! 🙂 Good to see you back! That’s an spicy yum recipe….love the way u trimmed mango….. Delicious, I love the way you have grated the mango, looks very attractive. An easy recipe and one oh so delicious. This salad looks so pretty and sounds so flavourful! love it! These are some of my favorite flavors. 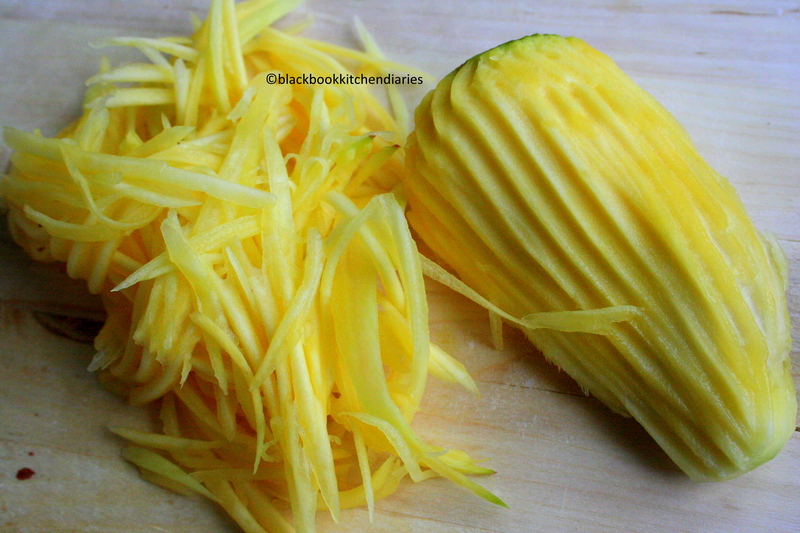 I also appreciate the idea of grating the mango – peeling mangoes is such a pain to me that I don’t often buy them! oooooo. 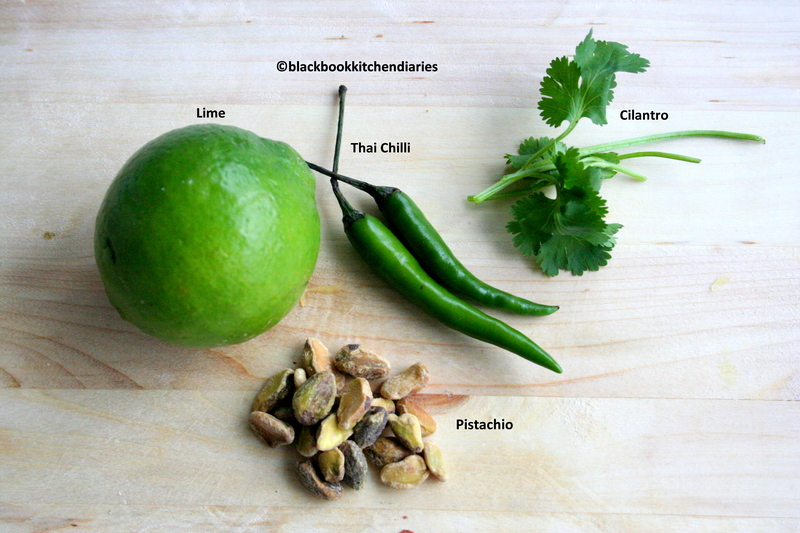 Lime, cilantro and chilies. LOVE the combo! Amazing! What kind of grater did you use? I imagine that my microplane would turn it to pulp. Welcome back! I love eating light,healthy dishes full of big flavors just like this salad. Love the bird’s eye chiles in this. What an interesting salad, i love the look and the flavor combos sound amazing. Thanks for sharing! You always leave me with my jaw open 🙂 love this simple and gorgeous salad. I need try making this for the fam. I have added mango to salads but never have I made it, as the star. I love mango and this has to be delicious. Thanks for sharing. What a delicious light, bright salad – would brighten up the darkest (Irish) summer’s day!!!!!! Welcome back! I was going to ask what type of grater you used but I see you answered it above. The box grater worked beautifully. Great looking Mango salad. I’ve been making different versions of mango salad all Summer, but never shredded it- a must now! Perfect summer salad there. Looks fresh and oh so tasty. Wonderful!!!! How can anything with mango go wrong…. This salad looks delicious. I can eat endless amount of this beauty. a lovely salad, filled with all my fav flavors!! What a delicious, beautiful and easy salad! I love mango and it’s so refreshing! I didn’t know how to make dressing for mango salad, and yours seem very nice one that I should bookmark! Thanks for sharing this~~! Beautiful salad, a terrific combination of flavors with fresh sweet mango, nutty pistachios, and a spicy kick from the chilies. I absolutely adore mangos! I have never seen them used in this way, but it is inspired! I would totally gobble this up. Good to see you back 🙂 I love mangoes and this salad looks like the perfect summer side dish! 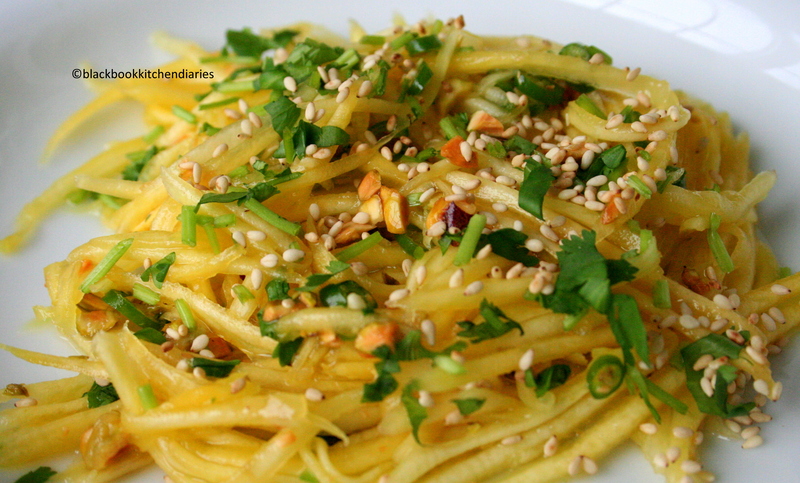 Wow, what a nice salad with mangoes…love the cilantro and pistachio…so pretty and so tasty. I am a HUGE mango lover but would have never thought of enjoying it this way. Thanks so much for sharing. Looks absolutely delicious. this sounds perfect to me–the very presence of cilantro draws me in and the zingy lime dressing keeps me around. i love the sesame seeds too–nice touch! I love these flavors…what a gorgeous salad! New subscriber. This is such a fabulous recipe. I adore anything with pistachios. as usual your food always make me wish I have a helping right now…..